After win that made history, what will Knights do next? 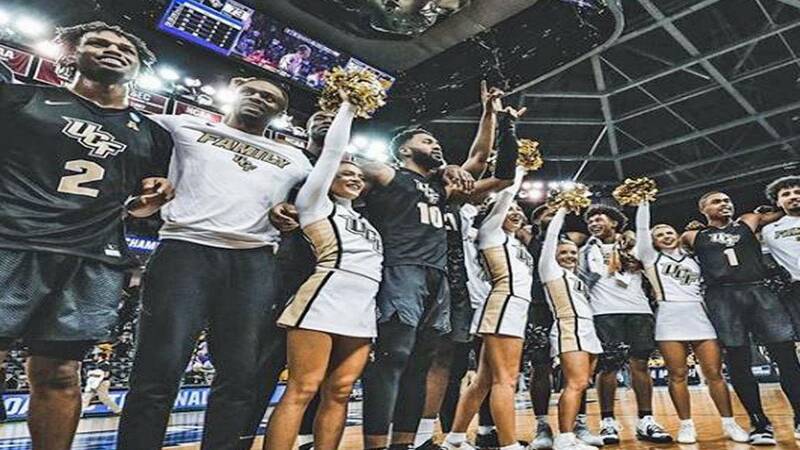 ORLANDO, Fla. - The University of Central Florida Knights will play Sunday afternoon in a second-round NCAA Tournament game after the team's history-making Friday night win. The UCF men's basketball team faces off against Duke in Columbia, South Carolina. Ninth-seeded UCF (24-8) will play against No. 1 seed Duke (30-5) at the Colonial Life Arena. If you couldn't follow the Knights to South Carolina, you can watch the game on News 6 or your local CBS station. Tune in after the UCF vs. Duke game for News 6 sports anchor Ryan Welch's live report from Columbia. Watch News 6 at 11 p.m. for his full game roundup. The NCAA is also streaming all the games online at NCAA.com. Log in here with your cable or internet provider to get full access. This game comes after a monumental win where UCF defeated the Virginia Commonwealth University Rams 73-58, the first NCAA Tournament win in the school's history. The win, UCF's first in five NCAA appearances, sets up several intriguing storylines with Duke. There's the game's tallest player against its most dynamic star in Blue Devils freshman Zion Williamson. And, of course, there's the close relationship between UCF coach Johnny Dawkins and his former coach, now a friend and mentor, Duke's Mike Krzyzewski.